Clean, spruced up and properly functioning windows do wonders for increasing a home’s curb appeal and structural integrity. No homeowner should neglect maintaining their windows if they want to keep a great-looking and structurally sound home over the years. 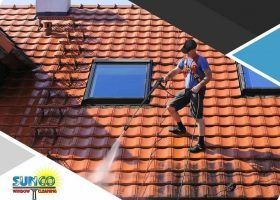 Here are some tips from our window and roof cleaning experts at Sunco Window Cleaning to help guide you in keeping your windows looking and functioning at their best at all times. Your gutters channel rainwater away from your home, which means keeping them clog-free is in your best interest. In doing so, you protect not only your roof but also the other important components of your home. 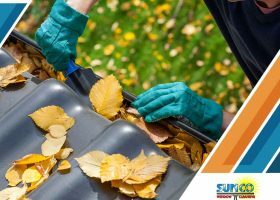 Sunco Window Cleaning LLC, a leading roof and gutter cleaning company in the area, discusses how clog-free gutters protect your home’s exterior walls and foundation. Every roof is expected to last a finite number of years, depending on a number of factors, including what type of materials it is made of, the quality of its installation and how well it is kept clean and maintained. 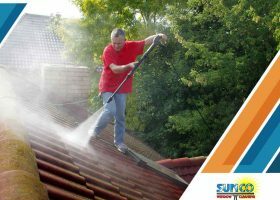 At Sunco Window Cleaning, we help our customers keep their roof for longer by providing great roof cleaning services. Here are some notes on why, how and when you should take advantage of them. We all want to live in a beautiful home, but many tend to overlook the importance of regular cleaning and maintenance. A clean house and healthy environment are the underlying prerequisites for a truly warm and cozy home. But while some truly enjoy cleaning house on their own, others have to be more practical: they hire professional window, gutter and roof cleaning service providers to get the job done right.